How do Micro 4/3s cameras compare with DSLR cameras? What are the major (and perhaps more subtle) differences between the newer Micro 4/3s format in comparison to the well-established DSLR cameras? What are the pros and cons of the Micro 4/3s format, the camera body and lens capabilities and offerings, size/weight, etc. The first technical difference is the fact that the sensor is smaller than the most common DSLR sensor sizes (APS-C and larger), whilst it's going to be less optimal than an APS-C, full frame or medium format (very expensive) sensor, it's still going to be far better than compact sensors. Noise will be comparable to APS-C (1.6x), though probably not quite as good, but this is also dependent on the sensor technology. The second technical difference is that almost all Micro 4/3rds cameras currently use an electronic viewfinder, not an optical viewfinder. This means there is no phase detect auto-focus which is much quicker than contrast based auto focus. Phase detect AF can take less than a second in good light, whereas contrast AF can typically take 3-4 seconds and most often takes this long in any conditions. Another difference is that on a lot of Micro 4/3rds cameras, the manual controls for aperture, shutter speed and ISO aren't as accessible as an SLR camera. If you plan on shooting manual with a Micro 4/3rds camera you may have to look around for the one that won't hinder you. For example, Sony's NEX-5 (not Micro 4/3rds but similar) apparently are very fiddly and it's better to just use them in an automated mode like Program mode. A major physical difference is the size. The camera body itself is typically no larger than a large compact. The problem with this though is that the lenses are still fairly large when it comes to portability. You probably wouldn't try putting one in your pocket unless you have both a large pocket and a very short lens attached. There is a disadvantage due to the sensor size, everyone will say that. While true, it is actually quite minimal. Obviously, it varies between models but a recent m4/3 camera compares to a recent one with an APS-C within one stop in terms of noise, and it is rarely visible until ISO 800+. Here is how the differences looked last year. All these models had one successor since. The only serious difference is actually speed. All the current m4/3 cameras use contrast-detect AF which is slower by a noticeable margin to phase-detect, which is used by DSLRs. There is a small but noticeable display lag as well because the LCD or EVF works electronically (not a the speed of light as with OVFs). With subjects that move slowly this is not a problem at all, but for action it can be. There are obviously more differences but the remaining ones tend to be more specific to certain types of photography. Certain features are not available yet in m43 too, such as weather-sealing, sync-port, GPS, support for AAs, etc. You'll have to investigate which ones impact you depending on your photography style. The number one advantage is reduced bulk, so a smaller and lighter total system. Micro Four-Thirds camera are smaller than DSLRs but the savings also translate to lenses. Each lens is smaller, so the size and weight you need to get a comparable feature set. The fact that the lenses are smaller also lets them design lenses with a bigger maximum apertures. This applies to full-size Four-Thirds and Micro Four-Thirds. The best example if the two Olympus F/2 zooms, the 14-35 F/2 and 35-100 F/2. To use these on a Micro 4/3 camera you do need a small adapter. Going back to Micro 4/3 specifically, the shorter distance of the mount to the sensor means that you can adapt much more lenses from other mounts to Micro 4/3 without losing focus at infinity. A particularly interesting adapter exists that also adds a shift or tilt mechanism between the mount and the lens (sorry, do not remember who does this). The fact that those cameras were designed to show a live-image means that there is no cost to see a live-view compared to current DSLRs. As of today, no DSLR has a live-view that does not reduce its performance somehow (usually AF speed but Sony DSLRs compromise VF coverage instead). This is likely to disappear over time, but for now you can count on it. Eye-level shooting of video is not possible with a DSLR since video requires a live-view feed. Several Micro 4/3 camera will provide this using an optional EVF. Just a clarification: the size of a Micro 4:3 sensor is the same as a normal 4:3 sensor (what changes is the distance from the focusing elements to the sensor plane). Of course the 4:3 itself is a little bit smaller than an APS-C, but not much. So do not expect worse sensor performance than in any Olympus or Panasonic DSLR. Nobody mentioned the fact that micro four thirds cameras are very good for experimenting with old manual lenses. The micro 4/3 system is mirrorless, and has a very short falange distance (distance from sensor to lens), that allows it to use most lenses on the market, with an adapter (and there are lots of types of adapters). Since this question was originally asked, the Micro Four-Thirds system has advanced and some of the earlier answers have become outdated. The latest generation of cameras has fast auto-focus although they still lag behind DSLRs for low-light and continuous tracking (eg birds in flight and sports) due to lack of phase-contrast autofocus. The lens selection is large although more fast zooms and long lenses would be welcome; see (incomplete) list at end of post. The sensor size effect has been discussed in previous answers, although it should be noted that since fast lenses are easier to design for smaller sensors (see the f/0.95 lenses below) this counteracts the sensor size effects on IQ and DoF. Otherwise a smaller sensor generally means reduced image quality (ie signal-to-noise ratio) for a given exposure. However m43 images are fine for web/computer viewing and prints of typical size and even gallery-quality prints at low ISO. High-ISO quality is noticeably worse in comparison. A smaller sensor also means increased depth of focus for a photo with the same angle of view, aperture and image size. Looking at portraits taken with the 75mm f/1.8 lens I find the depth of focus is shallow enough in practice but judge for yourself, look at photos on flickr. The smaller m43 sensor means a smaller camera, smaller lenses and a system small enough to be pocketable or easy and light enough to carry in a small bag, but with reasonable image quality. This is the trade-off that some find attractive. I often carry a PEN camera with lens in a jacket pocket and a couple of other lenses in other pockets. A professional photographer may find lugging a DSLR system around all day causes back or wrist injuries. Mirrorless cameras allow more optimal designs for wide-angle lenses, resulting in cheaper, smaller or higher quality lenses (compare the Rokinon 7.5mm to a 15mm 135-format SLR lens for example). The lack of mirror means no mirror lag between pressing the shutter and taking the picture, and no vibration or noise from mirror slap. There is still shutter lag and vibration (until electronic shutters are perfected). The short flange distance of mirrorless cameras mean most legacy lenses can be used with an adaptor (with manual focusing). There is no problem with front- or back-focusing since autofocus uses the actual image sensor. Electronic viewfinders introduce a slight lag to the image, although they allow overlay of useful information such as histograms and blinkies for over/underexposure, and other effects such as zooming for critical focus, can automatically adapt to changing light levels, and can provide a real WYSIWYG image including in-camera filters. Some m43 cameras only have optional EVFs. I tend to compose pictures using a tilted viewscreen at waist level rather than hold the camera up to my eye, but screens can be difficult to see in bright sunlight. Optical viewfinders provide a real-time high-resolution image and optical aids such as a split-screen focusing. There also tend to be significant differences between mirrorless and DSLR systems when there is no technical reason for this. Although traditional DSLR companies such as Nikon and Canon tend to have more cameras with "pro" features, they are quite conservative in design. If you want a tilting touchscreen and in-camera image stabilization for example they don't have that. Olympus has not officially released a "pro" camera for m43 yet, although they are promising to do so. Some professionals are finding the OM-D E-M5 has the features and quality they require and are switching to m43. Native lens list taken from http://www.ayton.id.au/wp02/?page_id=2255. Note many legacy lenses can also be used with cheap adapters. Olympus FCON-P01 Fisheye Converter - converts M.Zuiko 14-42mm MkII kit lens into a fisheye lens. Micro 4/3rds has a slightly smaller sensor than crop DSLRs, has slower autofocus, is more likely to get dust in the sensor, and depending on the camera, might not have a see-through lens. This would make taking picture outdoors very difficult. Generally speaking, the smaller sensor is its biggest disadvantage. The smaller the sensor, the higher the noise. 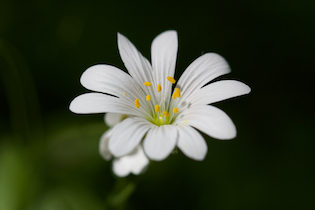 The smaller the sensor, the larger minimum DoF. There's nothing "holy" in DSLR (FF or APS-C) form factor either. 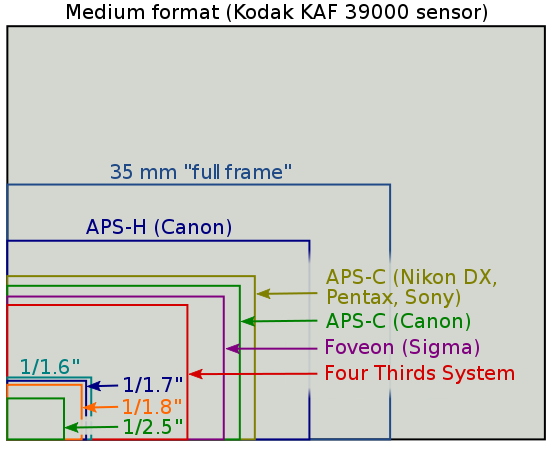 In terms of sensor size, these types are just two points in the continuum from digital medium format cameras to cellphone cameras. However, there is an expected level of attributes for each camera size. For example, DSLR's have optical viewfinder which sees "through the lens". No u4/3 has an optical viewfinder that sees TTL. Kirk Tuck has a couple of nice writeups that talk about his experiences with the Olympus E-PL2, a well-regarded Micro Four Thirds camera. The brief summary is: he found the smallness and stealth of the camera quite compelling (e.g., it helped him to appear to be a "hapless tourist" rather than a serious photographer), and the usability and IQ good enough (when compared to DSLRs). Olympus EPL2. Final Installment. Kirk's Definitive Opinion. I found these very helpful in understanding the tradeoffs. One other potential issue with a m4/3 camera, is that's as large a sensor as you are ever going to be able to use. With other DSLR systems you can potentially buy very nice primes that also work on larger sensor or even full frame cameras with the same mount. If you someday decide you really need a full-frame camera, you may also just be able to sell the lenses and systems you have and start from scratch, but it's something to consider. m4/3 cameras are more compact so that's a great benefit to consider, especially when traveling. I would say it is moderately meaningful, at least from a print perspective. The difference between APS-C and FF is around 1.5-1.6x, while the difference between 4/3rds and FF is 2.0x. The relative difference between APS-C and 4/3rds is about 1.25x (an absolute difference of around 0.4x). Not hugely significant, but significant enough to think about. I think more important than the difference in crop factor would be the format. There are fewer native papers that fit the 1.33 aspect ratio of a four thirds sensor (8x10"/8.5x11", 11x14", and 17x22" come to mind, although they are not ideal matches), while there are quite a few papers that exactly or nearly meet the 1.5 aspect ratio of APS-C sensors (which have a 3:2, rather than a 4:3, aspect ratio), which includes 2x3", 4x6, 11x16/11x17, 13x19, 34x22/36x24, as well as all the A-series papers, which have a sqrt(2) ratio of 1.414. (Although I guess A-series papers are only slightly closer to 3:2 than 4:3.) You would have to ask yourself if you are ok either printing on papers that don't directly match your image sizes, and cropping the paper...or cropping the images so they match the papers you wish to print on. I myself print on 13x19" most of the time, although I also print on 11x16" and occasionally 8x10" (although it is more of an ideal paper for 4:3 size images). I think a 3:2 ratio image, on papers between 1.41 and 1.54 aspect ratio, tend to fit nicer and have nicer margins without any cropping of the original image. A 4:3 ratio, on the other hand, doesn't fit quite as nicely, as it has more of a square shape. You can either shrink it more so the margins lengthwise down the page fit better, however you end up with pretty fat margins along the opposite edges of the page. One point that hasn't been mentioned, but is worth noting, is that from a practical viewpoint a smaller sensor gives increased depth of field. In theory, that's not really true -- depth of field depends on the aperture of the lens and the reproduction ratio on the sensor. From a practical viewpoint, however, if you maintain the same framing (as closely as you can given a different aspect ratio) you'll either be using a shorter lens or shooting from farther away with the MFT. Either way, you end up with a smaller reproduction ratio on the sensor, which increases your depth of field. This can be either an advantage or a disadvantage. If you're using a large aperture for the sake of selective focus, you'll typically need to open it up another 1 1/3-1 1/2 stop on MFT to get about the same depth of field as you would with the same framing on a full-frame (135 size) sensor. If you're starting with a fast aperture (e.g. f/1.4 or f/1.2) on a full-frame, you may not even be able to find a lens for MFT that maintains the same depth of field. On the other hand, if you're using a large aperture primarily to work in low light, you may like the fact that you can open it up without the depth of field getting razor thin. Of course, that also needs to be balanced against the fact that (as others have mentioned) a larger sensor will generally have lower noise, so on a larger camera you may be able to get about the same effect by increasing the ISO instead. in C-AF mode can shoot 15 frames per second individually focused in RAW files for 40 shot buffer depth. can shoot at 30 or 60 fps in RAW file with focus & exposure locked at first frame, with 40 shot buffer. This is by using a sensor with both phase detect and contrast detection capabilities. In high speed (above 15 fps) the camera uses a silent electronic shutter so is much quieter and avoids mirror slap of a DSLR. These smaller system cameras open up new ways to shoot, they allow you take DSLR quality with you anywhere, with excellent fast prime lenses. They allow you go relatively unnoticed should you wish, but most importantly they deliver the results, they give you image quality that up until recently you could only get with a DSLR!. Where you will notice a difference is in low light. M43 sensors are not the best in low light. They aren’t bad, but a larger sensored DSLR will serve you better if you have to shoot at ISO’s above 1600. Not the answer you're looking for? Browse other questions tagged dslr micro-four-thirds full-frame aps-c sensor-size or ask your own question. Is there at least one reason why I should buy an entry-level/prosumer APS-C DSLR versus a compact/four-thirds/bridge camera? Are mirror-less cameras good enough to buy instead of a DSLR for home/amateur use? How do I choose between an SLR or an expensive P&S? What specifics does a street style/detailed photography camera + lens need to have? What should a photography beginner focus on? Is the smaller mass and bulk of Micro Four Thirds gear vs. APS-C DSLRs meaningful? Should I stick with Micro Four Thirds or switch to a larger format before investing in more gear? Is a dSLR or mirrorless camera better for learning about photography? What are the advantages of a Micro 4/3s camera compared to a DSLR? What are the pros and cons of a video camera versus a DSLR that can take video? How to compare two DSLR bodies? What is the difference between DX format and FX format lenses, and which to choose for what purpose? What is the visual difference between Full Frame, APS-C and Micro Four Thirds pictures? What are the pros and cons of a mirrorless camera compared to a DSLR? Why use larger format cameras for studio photography?